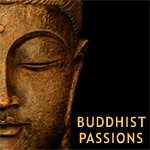 By voting on the books listed, you can help to determine whether a book is related to the theme of Buddhist Passions, or whether it is a non-related, but popular, book among the members of the site. If you believe a book in the list below is 'on theme' with Buddhist Passions, vote that it is relevant. (If you don't know, just skip it.) Over time, we hope to have a library of books that should be of interest to Buddhist Passions members. As Osho points out in the foreward to this book, historically, the creative person has been all but forced to rebel against the society. Introduces the life of Kenneth Grahame, contains his best known work with new commentary, and collects illustrations from a variety of previous editions.